This live blog post continues where I left off after yesterday's Everest flight, then today and tomorrow's adventures. Due to time and logistical constraints I decided to cancel my trip to Lumbini, so I will just be exploring the holy sites around Kathmandu. I went back to the hostel after getting some breakfast in Thamel, still high from the Everest experience. I've never thought that I would be able to see the highest mountain in the world - which I've only read about in books and National Geographic magazine and seen in movies - up close. The experience was indeed exhilirating. At the hostel I was to take a nap before meeting Erika again but I was invited to join the breakfast of two Irish backpackers who recently arrived, and we ended up chatting for quite some time. I met with Erika and Jeric in their hotel in Thamel. 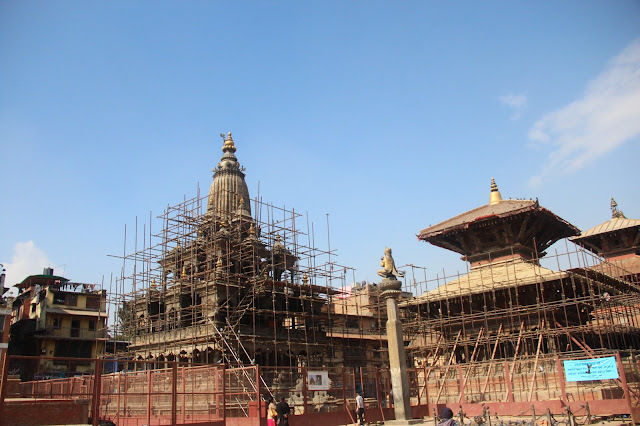 Jeric is flying in a few hours so I will be accompanying Erika to Durbar square. We decided to walk to Durbar Square of Kathmandu to explore more Hindu and Buddhist temples there. The highlights were the residence of the diwali - the living goddess - where photography is not allowed if she is around. Usually she would show her face to the public at certain hours of the day. There was also the residence of the former monarchs, and some other Hindu temples. 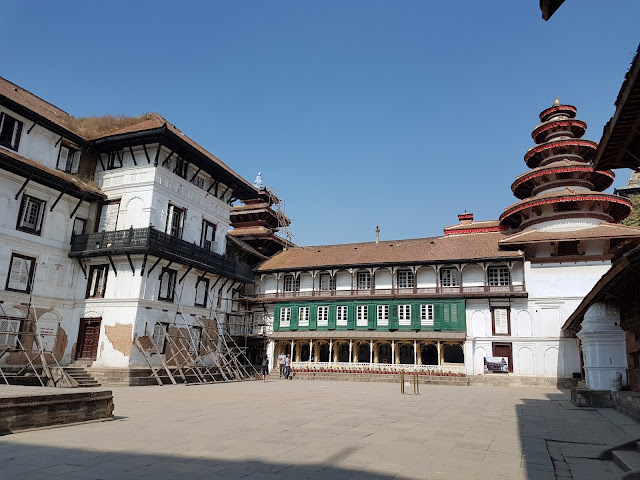 After exploring Durbar we went back to Thamel to pass the time; Erika's flight is in the evening and she only needs to go to the airport around 6. First we had late lunch at a restaurant - YinYang - and the food is very delicious. I also realized that except for that buffalo meat momos and some chicken, I haven't eaten meat since I've got here. Aftee lunch we went to find a cafe where to hang out. 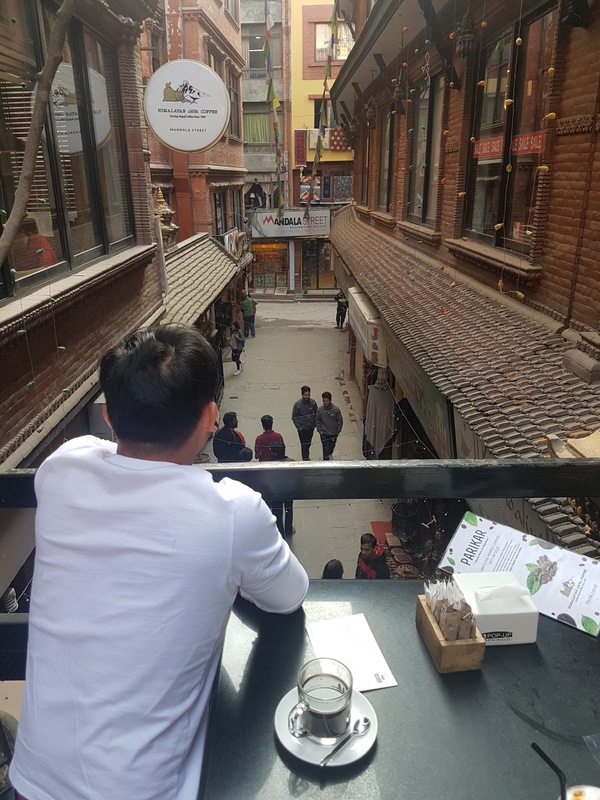 We went to a swanky one in Mandala Street, and our table was located at a bridge between two buildings, overlooking the street below. It was quite quaint. We hang out here until around 5pm, from which we head back to the hotel and got a cab for Erika. 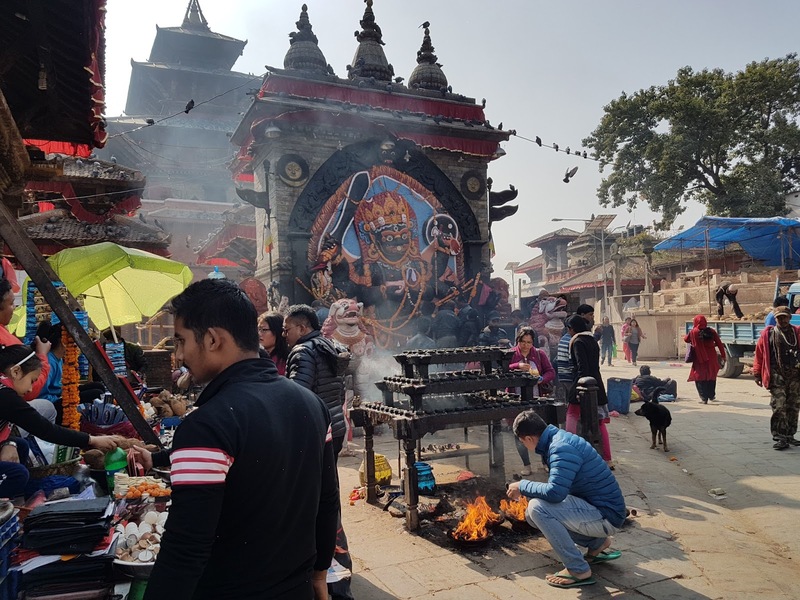 I decided to go back to Thamel to buy some food at the grocery store and some yak cheese sandwiches and quiche at the bakery. I also bought some fruits - local apples and pomegranates. 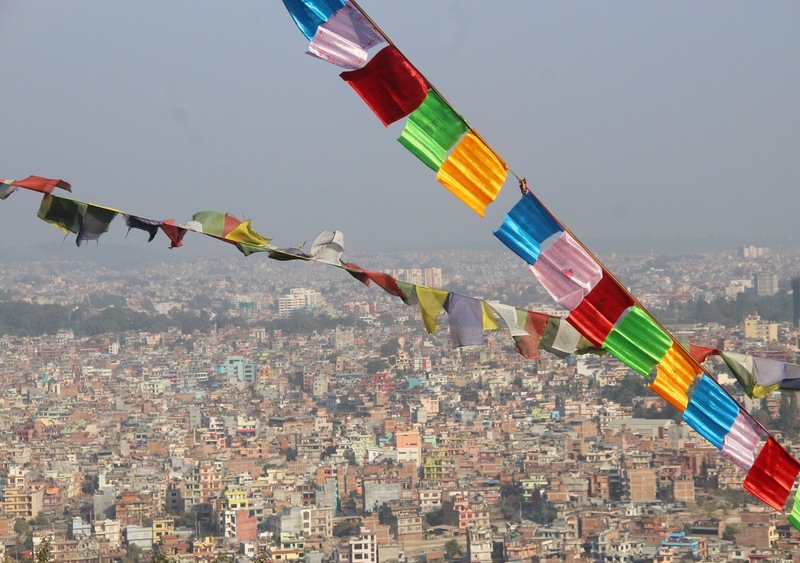 After waking up I went upstairs to the view deck to see a great view of Kathmandu. To paraphrase a traveler whose name I cannot remember, it's a great, strange feeling to wake up in a city where nobody knows who you are. It's a lazy Sunday morning so I took my time having my breakfast and getting some more naps. 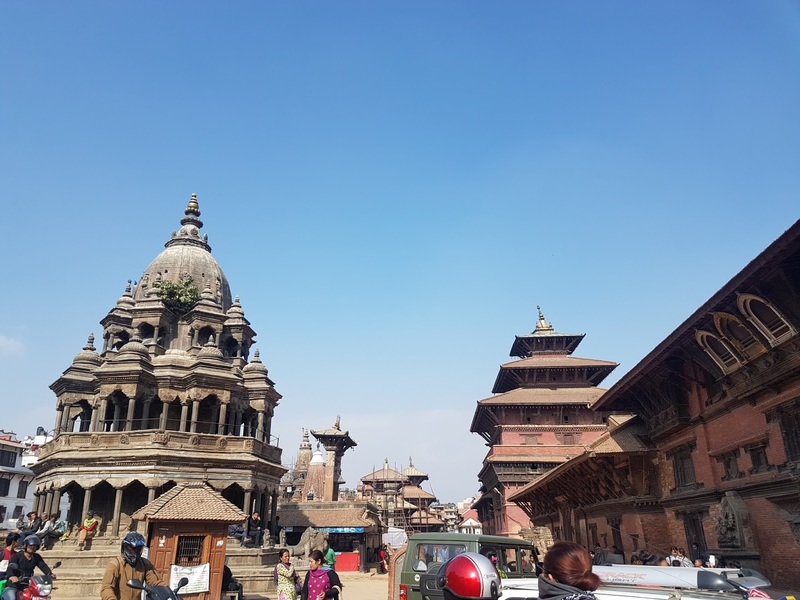 After lunch I will go to a holy site called Swayanbunath, and the Durbar square of Patan. The site site that I visited is Patan, a town next to Kathmandu. 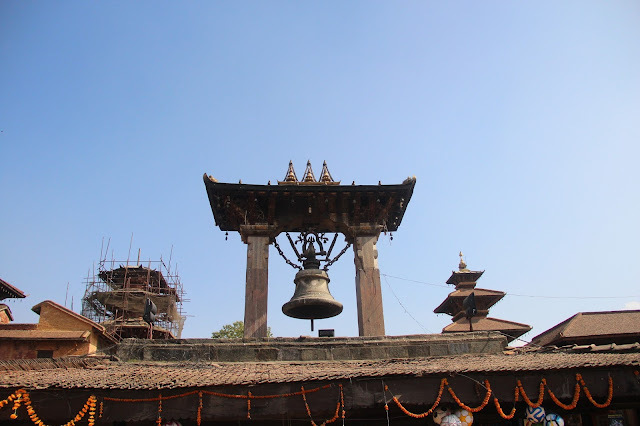 It is also known as Lalitpur, and is recognized as a UNESCO world heritage site. its Durbar square contains several important temples and structures, including the Krishna and Bhimsen temples. Several scenes of the movie Dr. Strange - mostly the quest to find Kamar-taj - were shot here (thanks to my Twitter friend Voltaire for pointing which scenes). The square bears a lot of scars from the 2015 earthquake and some of the main temples were still under repair, with scafolding covering them. I also was able to explore some areas outside the square, but I did not venture out much. I went back to the hostel to recharge my battery and get some money. 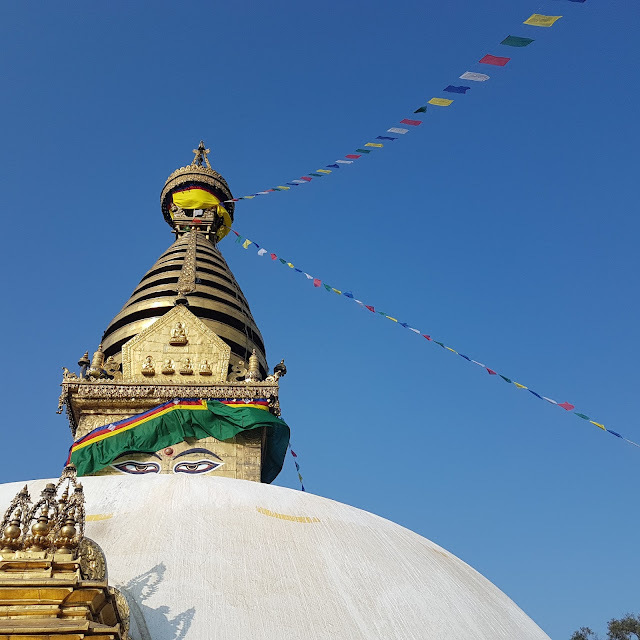 I then set out to anothet temple - Swayambhunath. I began the long climb to reach the stupa of the Swayambhunath - 365 steps to be exact. The site is considered to be the most sacred by the Newar Buddhists. At the top is white stupa, which had eyes of Buddha painted on each side, representing enlightenment. 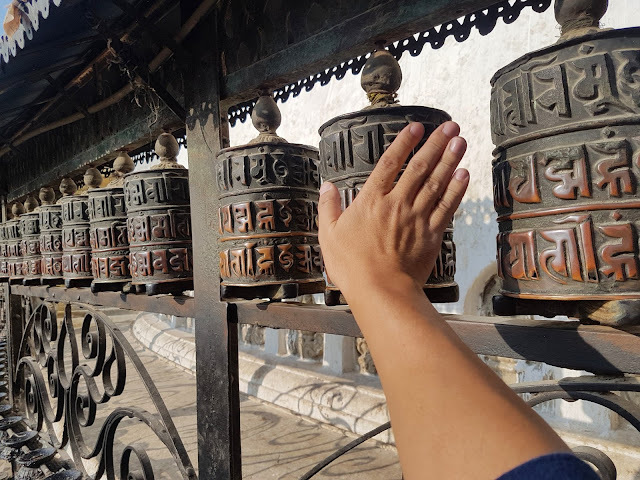 Around the stupa are prayer wheels, which devotees spin as a ritual to accumulate good karma and reduce the bad. It has to be circumambulated clockwise. I did that, twice. Even though I am not a Buddhist I felt some peaceful experience as I did. 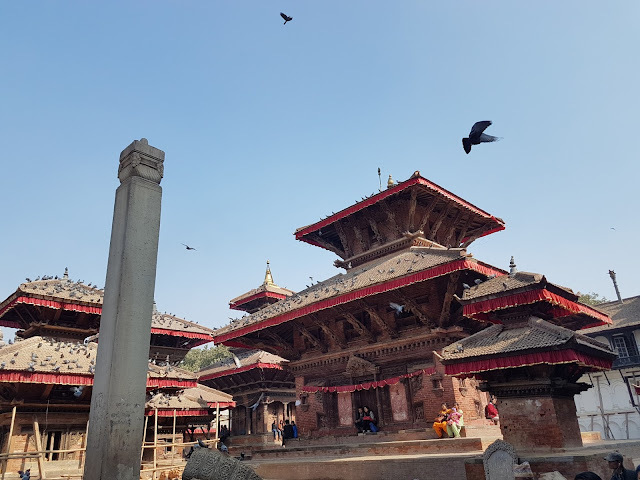 After going around the stupa I explored the area more, noting the presence of the monkeys around the temple (Swayanbhunath is also known as the Monkey Temple). I also stumbled upon a cafe within the complex that gives a great view of the Kathmandu valley. I went inside and ordered fried vegetable momos and a Fanta, which I partake while enjoying the view of the city. I was back in the hostel to rest for a bit. I then went back to Thamel to get some dinner, and to buy some gifts to bring home (mostly pashmina scarves). I had mutton for dinner. Back in the hostel again, this time preparing some of my luggage and making updates for the blog. I am going to rest early too, as it's a big day tomorrow - Bouddhanath and Pashupathinath temples. 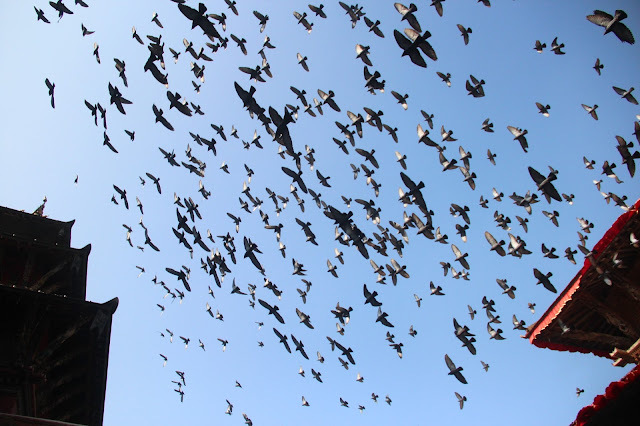 I went to Boudhanath Temple early. The temple has a massive stupa that is one of the largest in the world. The site is also the holiest pilgrimage site for Tibetan Buddhists. 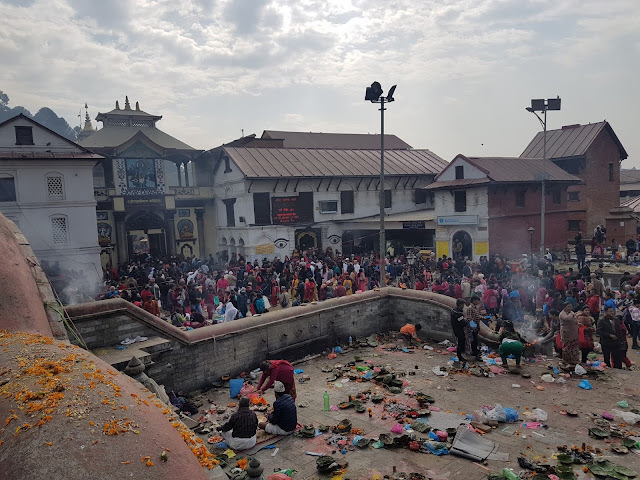 I left Boudhanath for Pashupatinath. I didnt know that there was a Hindu festival there, and the taxis are avoiding the area. I managed to convinced one to bring me there but I had to walk for several blocks to get to the temple. There was a substantial crowd and I didnt even attempt to enter the main square. I was able to go to the periphery to observe. I also was able to get a tilaka - which is vermillion paste applied to the forehead - and a red braided bracelet called kivala - from a Hindu priest, as a blessing. 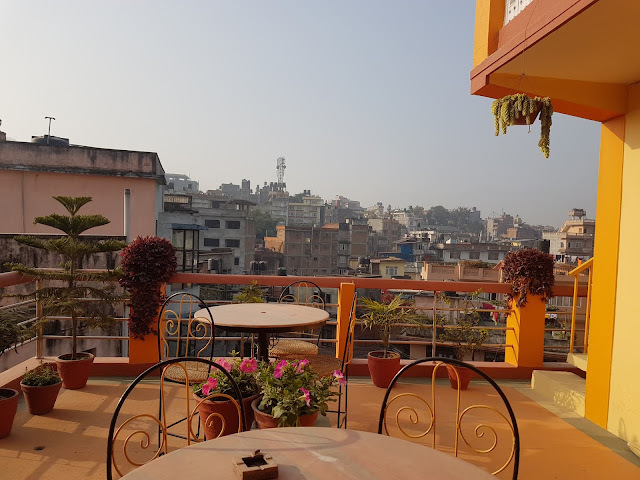 I am heading back to the hostel to check out Then I will just hang out in Thamel until late in the afternoon before going to the airport. 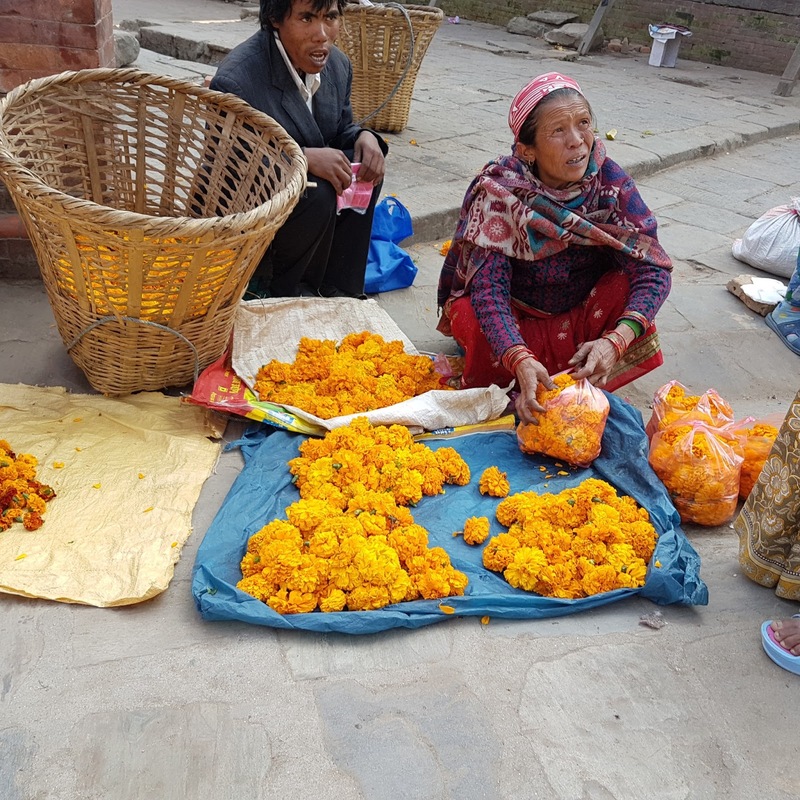 Please do a post on what the airport in Nepal is like.